There's this tiny game studio that released a very playable point-and-click adventure game, and I played through it just now. 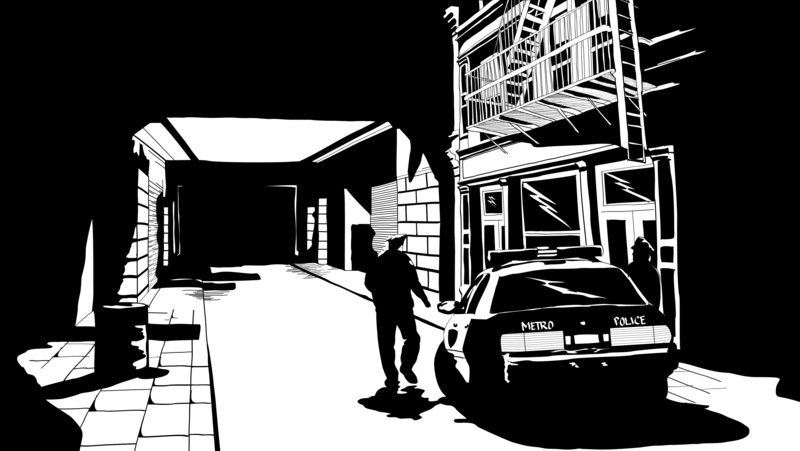 Put simply, the game is HBO's The Wire in old school PC adventure game format. It's about than an hour of story and action but a very enjoyable one with real suspense. They've stripped down the mechanics of a typical point-and-click to just that which will progress the plot, which makes the whole mechanism quite streamlined and cuts back on the hunt-and-click aspect of these games. They've managed to really generate palpable tension in this storyline. You're never sure if your character will make it through, and your actions feel like they have weight. The game was created by a small team in Finland, and it looks like they were recently greenlit on Steam. They've released episode 1 of 5, and as a fan of these kinds of games I do hope this studio keeps going and brings the whole series to fruition. This thing is compelling, so if you've got a PC, check it out on Steam. I love seeing people create something new, and this is one game that deserves to have a bigger audience.